Why Do I Need to Reconnect my BIll.com Sync Dashboard? Bill.com recently upgraded their security protocols for the Bill.com Sync Dashboard as a means of ensuring all Bill.com accounts are secure and protected. Due to these security upgrades, the QuickBooks for Windows Sync Dashboard was upgraded from version 1.1.0.2452 to version 2.0.7089.5. The upgraded does not break the sync but it will disconnect it for all accounts; therefore the sync will need to be reconnected for all accounts. All objects that were synced previously will retain their integration status. 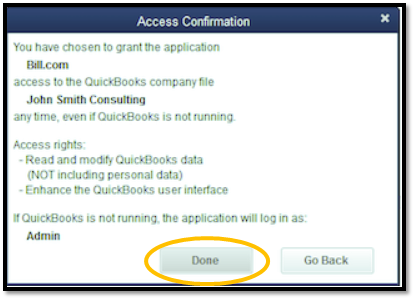 Open QuickBooks and log into the company file to reconnect as Admin. 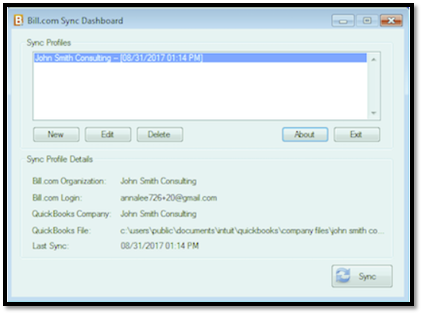 Open the company file in single-user mode. Open the Bill.com Sync Dashboard. 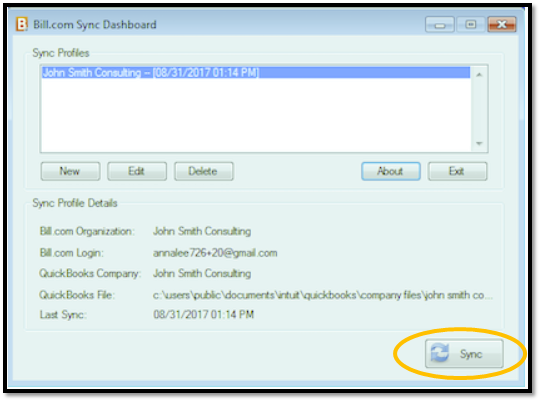 Within the Sync Dashboard, select the profile to reconnect. Select Done to confirm access. 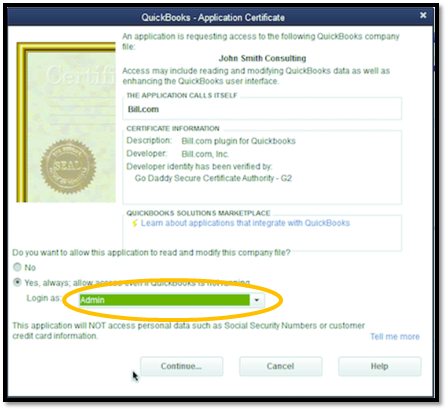 In QuickBooks, hover over your file and select Close Company. On the Sync Dashboard, select the corresponding profile to reconnect. Next to Login as, select Admin. Repeat these steps for all other company profiles. If an error occurs, close both the Sync Dashboard and QuickBooks and start over from Step 1 under Single Company File.